While certain connoisseurs have their reservations, there’s no denying that capsule coffee has captured the attention (and wallets) of those who can afford the luxury. Nescafé’s Dolce Gusto system is the latest to hit the market, with the Delonghi Circolo machine making its way into our office. Credit where credit is due – it is well thought out and in many ways improves on other capsule machines. For example, the Circolo caters to tall as well as small cups, with the height adjustable so that the coffee does not splash. A magnetic lock clicks the capsule drawer in place. 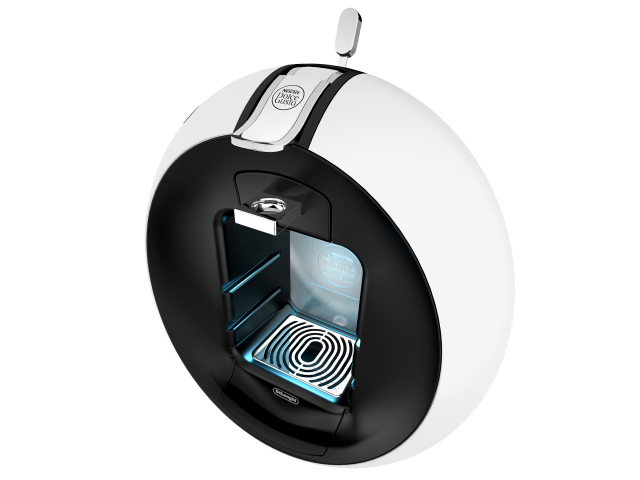 The Dolce Gusto system is based on a suggested ‘dosage’ on each flavoured capsule, with a scroll wheel present on the machine to adjust the machine to the recommendation. This allows the correct amount of water for the perfect cup, while also allowing to dilute your coffee if too strong. In many ways the Dolce Gusto system is the perfect barista for bachelors since many of the flavours available comes with a capsule of powdered milk – this means no more late night drives to the garage to buy milk. The Circolo machine is also quite an interesting objet d’art in its own right with its circular design looking right at home next to a Harman/Kardon dock for example. The Nescafe Dolce Gusto capsules’ price compares well against Nespresso prices, with a box of 16 capsules going for R80. Note though, for some of the flavours you need both a milk and coffee capsule, which means 16 capsules only provide eight cups. There are not as many flavours available as with the Nespresso system. What won us over was the Delonghi Circolo’s attention to detail: the little magnet that locks the capsule in place; an LED that illuminates your cup; a button for cold water. All this adds up to a great coffee machine which sells for R2 500 at selected retail stores. 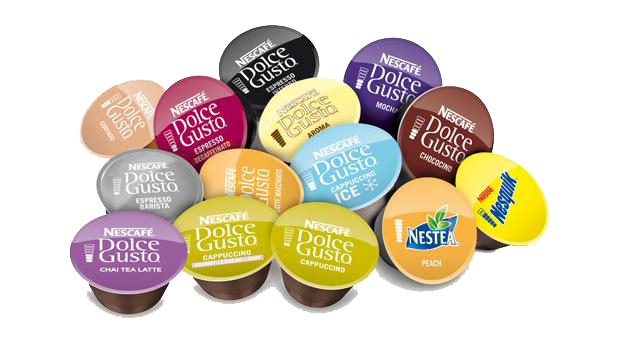 Some of the Dolce Gusto capsules available .